The total area of the land is 29935 square meter. 1.Universities, colleges and Junior and High Schools. no kindergarten allowed. Minimum Land 20 000 square meters of land required. 2.Specialized Clinics and Hospitals. Minimum Land 12 000 square meters of land required. 3. Athetic Centers. Minimum Land 20 000 square meters of land required. 4. Amusement Parks. Minimum Land 25 000 square meters of land required. 5. Research and Development. Minimum Land 15 000 square meters of land required. 6. TV and Radio Stations. Minimum Land 10 000 square meters of land required. 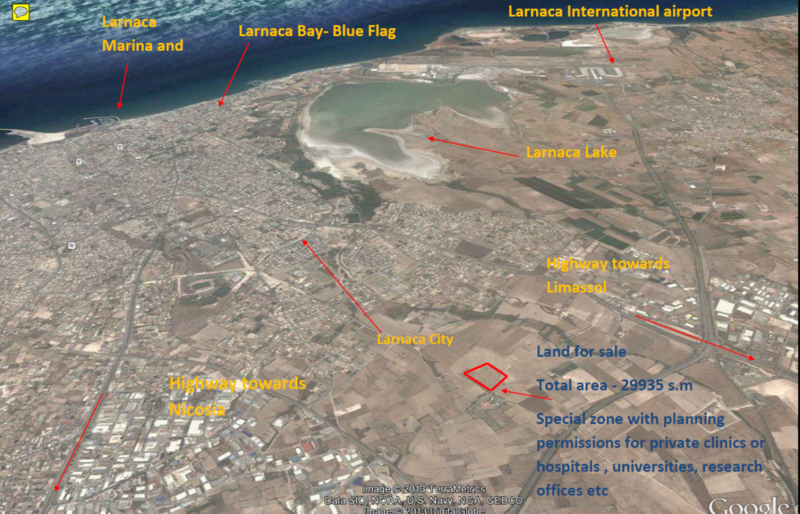 The land is located about 6 km west of the center of Larnaca. It is also only 7 kilometers away from the main international airport. 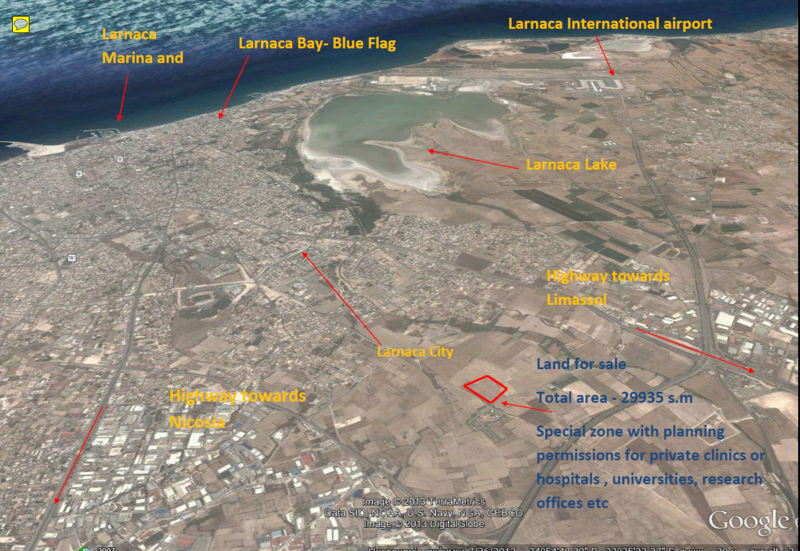 It is ideally located only approximately 55 kilometers from Limassol and 50 from Nicosia. The land has easy access to the highway. square meters.) with a rectangular share and has access from a tarmac road. The Land is for sale at €4 500 000 plus VAT.